And with it, brand new leaves." One of my favorite things to do at the start of each month is to collect images from Pinterst/Tumblr/Instagram that inspire me for the coming 30-ish days. So, I'll be compiling the images into collages and sharing them with you each month! 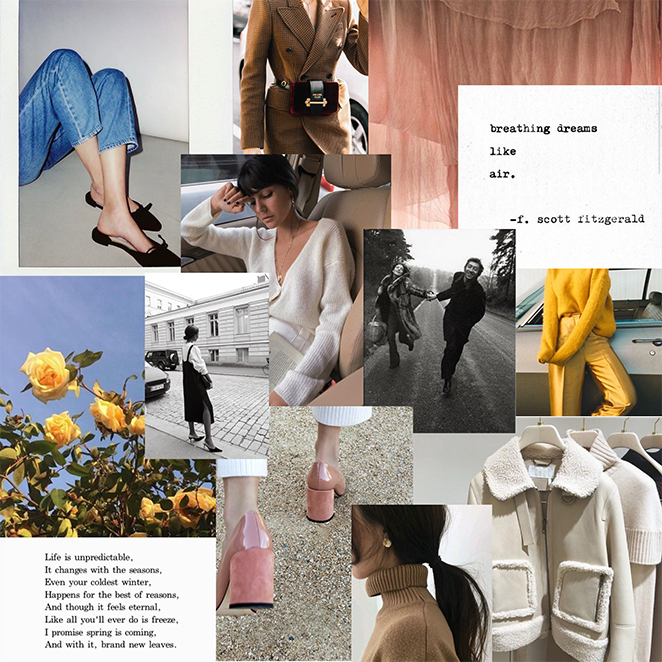 Bright yellow/mustard, muted dusty pink, interesting collars, faux fur, vintage everything, and the promise of what's to come are a few things that are inspiring me at the start of this new year.